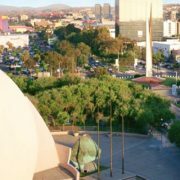 TIJUANA, Baja California— Professionals from NAI 10 offices throughout Mexico are gathering together April 28 and 29 at NAI Mexico’s headquarters, to discuss current business, plans, trends, opportunities and strategies for the future of commercial real estate in Mexico and Latin America. CEO Gary Swedback noted, “We are very pleased to assemble such a talented group of sales and staff to focus on business development opportunities throughout Mexico, Latin America, and the Caribbean. We are also honored to host alliance partners and visitors from Chicago, New York, Los Angeles, and Toronto.” Mr. Swedback also cited the Panamericas initiative, created by NAI Mexico, as a way to offer global clients consistent service from Mexico to the Caribbean, and throughout South America. NAI Mexico is an exclusive member of NAI, the world’s leading managed network of commercial real estate firms serving over 375 markets worldwide. NAI Mexico supports both Mexican and global clients through a platform of 10 offices in Mexico. In addition to traditional leasing and sales, NAI Mexico offers additional integrated services for design and construction, project management, valuation, capital markets and supply chain solutions. 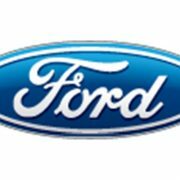 MEXICO CITY, April 5, 2016 – Further increasing its competitiveness, Ford is investing in a new small car plant in Mexico, building a new manufacturing site in San Luis Potosi State. Ford is investing $1.6 billion USD in the facility, which begins construction this summer. The new plant will create 2,800 additional direct jobs by 2020. Specific vehicles being produced at the new facility will be announced later. This investment comes during Ford’s 91st year in Mexico, including manufacturing vehicles since 1925. Ford and its 116 dealers this year also are celebrating 50 years of strong educational programs, including the construction and maintenance of nearly 200 rural schools throughout the country. Mexico is Ford’s fourth largest vehicle manufacturing site for global customers – behind the U.S., China and Germany. Vehicles produced in Mexico also serve customers in the U.S., Canada, China, Argentina, Bolivia, Brazil, Colombia, Chile, Paraguay, Peru, Uruguay and South Korea. The investment is part of the company’s One Ford global product and manufacturing plan. During the past five years, Ford has invested more than $10.2 billion in Ford facilities alone in the U.S. In addition, Ford has invested $2.7 billion in facilities and supplier tooling in Spain, $2.4 billion in Germany and – with the company’s partners – $4.8 billion in China.All of these investments are part of the company’s plan to serve global markets and deliver profitable growth. 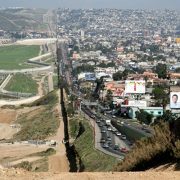 Tijuana B.C. Mex, NAI Mexico is pleased to announce that Juan Carlos Rodriguez will be a featured speaker at The Future of the Cali Baja MegaRegion Conference, organized by BISNOW. The event will be held April 7, 2016 at Sheraton Hotel and Marina, in San Diego, CA. Mr. Rodríguez, who manages the Corporate Solutions group within NAI Mexico’s 10 offices in Mexico, and coordinates projects in Mexico and Latin America, will participate on a global expert panel discussing the trends shaping the future of both the region and Mexico. This will be the first Cali Baja Bi-National Mega Region event. Attendees will receive a combination of investment and development-focused presentations sharing trends and competitive intelligence from an elite panel assembled for this conference. Attendees will also have the opportunity to arrive early and stay late for plenty of coffee and ample networking time — we’ll see you there!